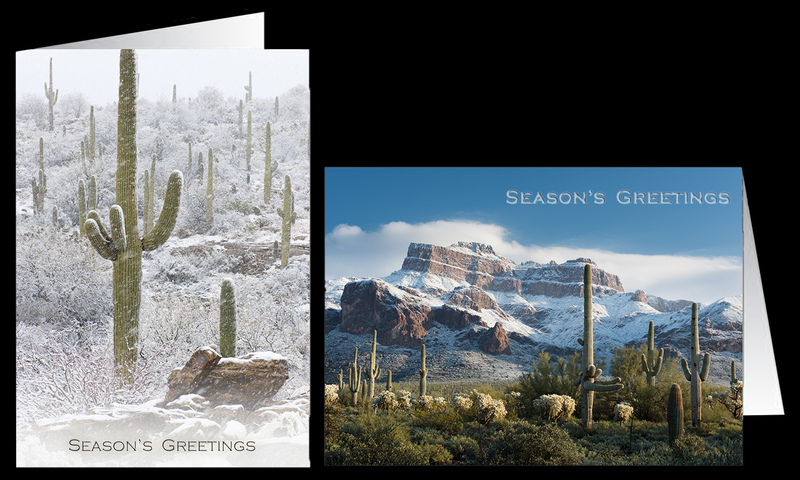 Share greetings of the holiday season with these beautiful cards featuring my popular images Sonoran Snowfall or Sonoran Winter; rare snowfalls in the desert. These 5x7 premium cards are blank inside to provide ample space for you to leave your own greeting. Each pack consists of 10 cards and 10 white envelopes.